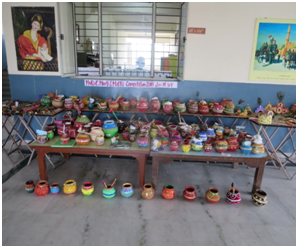 Mukut making /Murli and Matki decoration completion was held on 1st september2018 from class III -V.All the students participated in this competition enthusiastically.An exhibition was held near Art Room. All the classes visited there. 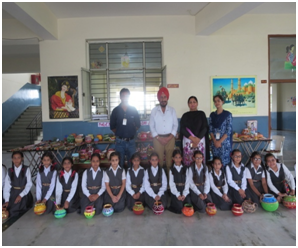 Creative pieces of art were appreciated by Ma’am principal and Administrator sir .First three positions were also announced from each item.